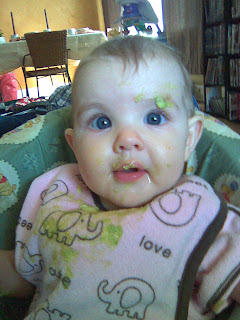 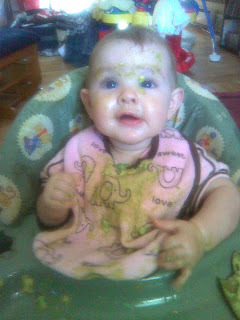 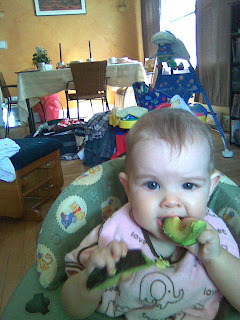 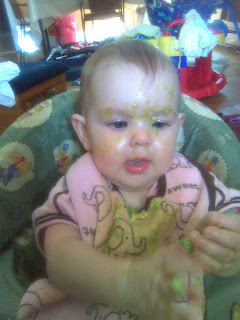 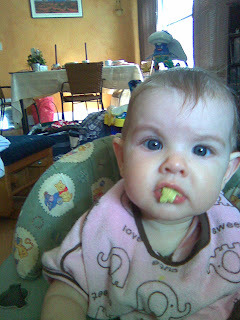 Juliet tried avacado for the first time today. 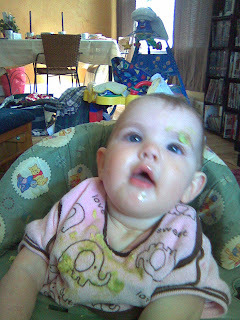 Oh the mess!!! 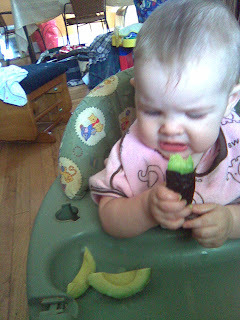 She wasn't real thrilled with the first bite, but she had fun squishing, and then realised she liked the taste after all! 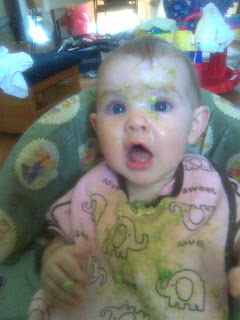 these are priceless...especially the second last one where she is so obviously looking at her hands and observing the wonderful squishiness!